It's all about the Extras! When it comes to decorating your marquee and setting up for a party there are many things to do and lots of decisions to make! 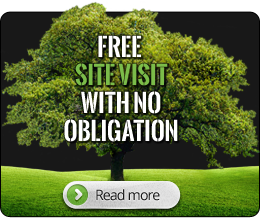 From the interior décor such as bars, furniture and dance floors to the outside extras you may also require such as red carpet, garden lighting or even luxury toilet units. 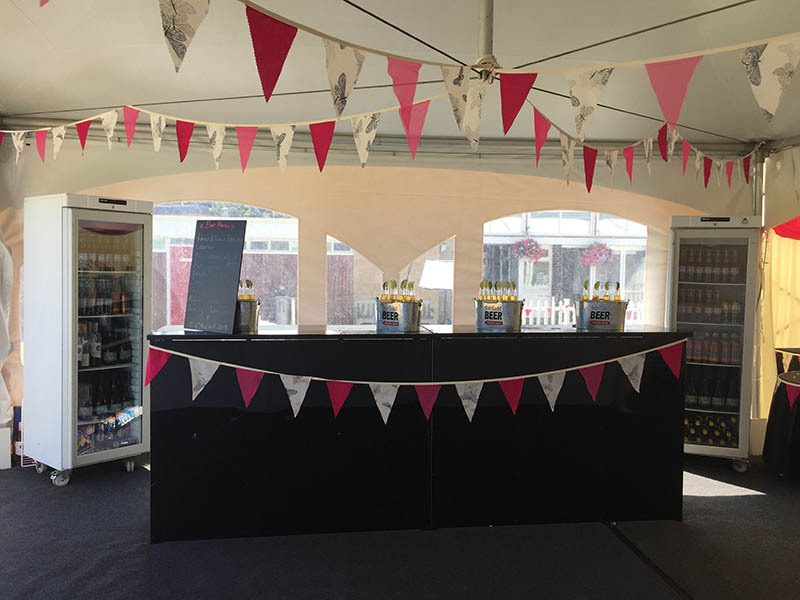 We understand that a huge part of making your party special is how you personalise your marquee. This is where you can do as much or as little as you like to showcase your theme (if you have one) and using all sorts of extras can help to make it a memorable occasion for all. Allowing extra space to set up a separate bar area can work brilliantly. Guests can grab a drink upon arrival and it creates a focal point within the marquee. There are many dance floor options. 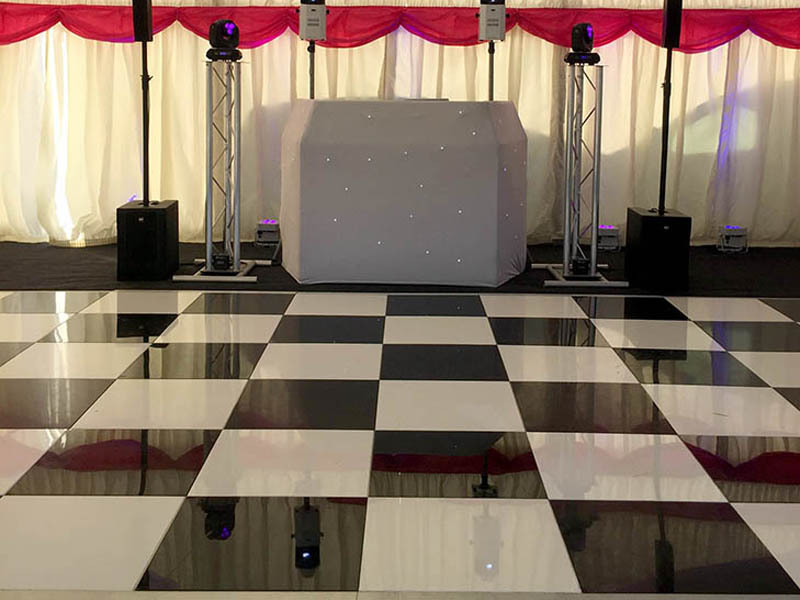 Here is our black & white dance floor complete with DJ booth. A parquet style dance floor looks superb and can provide that all important 'Strictly' effect! Seating arrangements for guests is very important. Whether it be round tables or rows we can help you design the perfect set up to create a fantastic atmosphere. 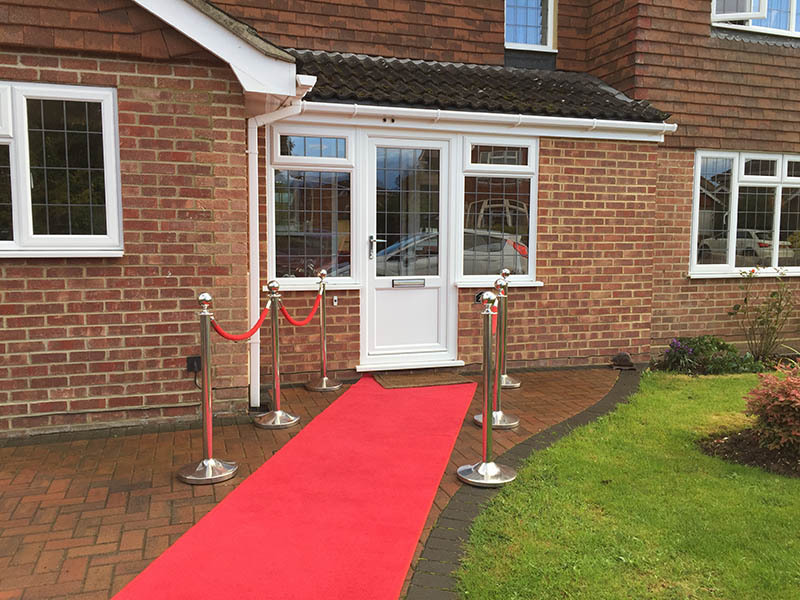 Perhaps you have a Casino or Hollywood theme for your party and need a red carpet, complete with chrome posts to provide the perfect entrance! 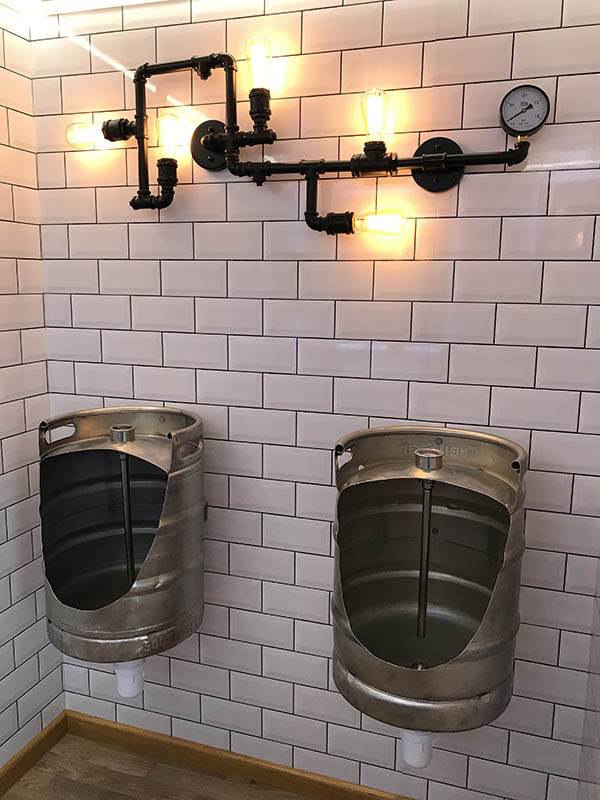 For a large function you may need to hire in toilet units. 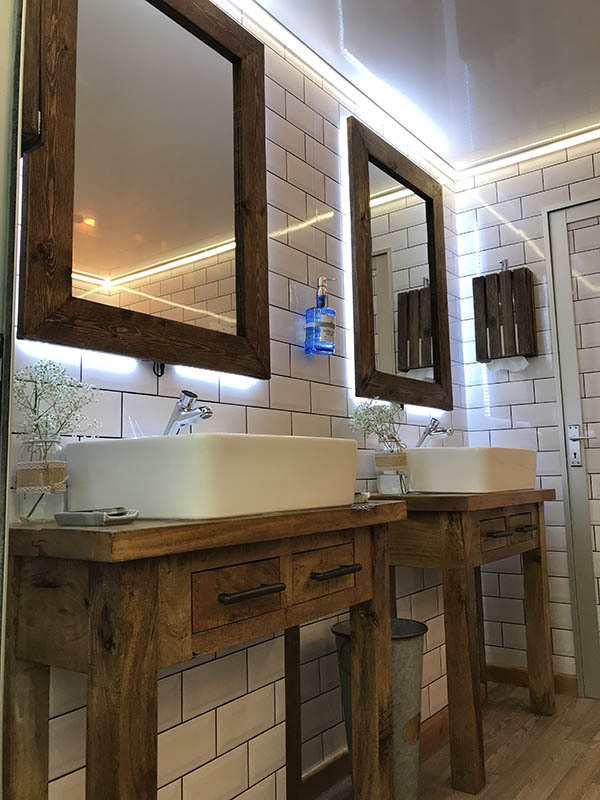 There are some fantastically themed toilet units available these days such as Rustic Interior, as well as a Beach Hut or Shepherd’s Hut!  Talk to Apple Marquee Hire today for any advice on planning your next marquee event or theming options for your party.